Deer Lodge is being featured on BRAVO's Property Envy Tonight! 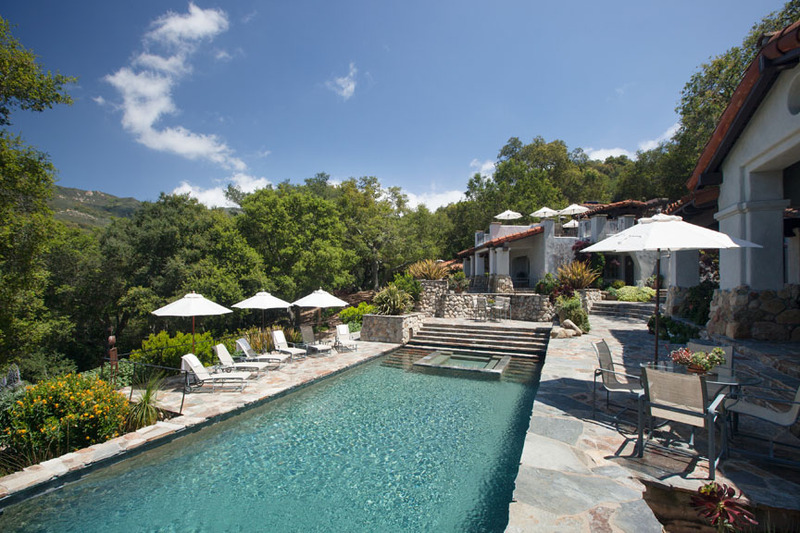 The pool and patio at Santa Barbara's Deer Lodge! Riskin Associates is excited to announce that our listing, Deer Lodge, will be featured on BRAVO network's new real estate show Property Envy. The show looks inside some of the county's most unique and distinctive properties as a panel of comical real estate personalities provide commentary. Deer Lodge fits the bill of the show, an incredible property with amenities akin to the coolest summer camp you never had the opportunity to attend. With 180 acres of hiking trails, sport courts, mountain view terraces, pool and spa, game room, and multiple structures with five star sleeping accommodations. Riskin Associates will be watching as the cooky panel of Property Envy sounds off on this and a number of other amazing properties tonight on Bravo! For airing times, check your local listings!